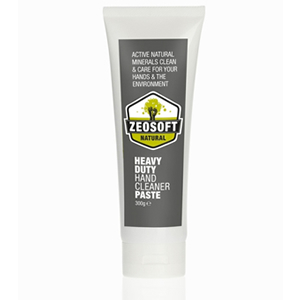 Zeosoft heavy duty hand cleaner is unique. Quickly and efficiently removes tar, sap, resin, oil and just about anything else from your hand while leaving them feeling soft and fresh. Zeosoft is made with natural zeolite and soft silica minerals which not only remove grime and dirt but also absorb odours leaving you fresh and clean.